The Highway Code rules about animals, including horse-drawn vehicles, horse riders and other animals. 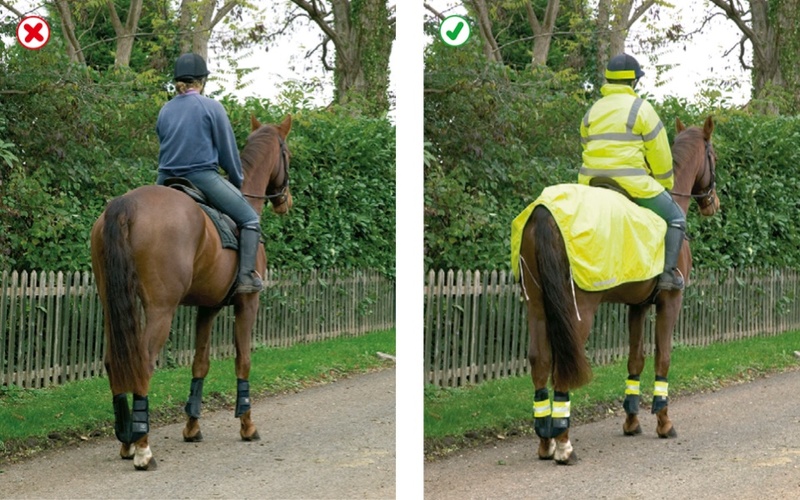 You MUST NOT take a horse onto a footpath or pavement, and you should not take a horse onto a cycle track. Use a bridleway where possible. Equestrian crossings may be provided for horse riders to cross the road and you should use these where available (see Rule 27). You should dismount at level crossings where a ‘horse rider dismount’ sign is displayed. signal left just before you leave the roundabout.